Fujifilm X-T2 Compact System Camera! The Fujifilm X-T2 compact system camera is a vocational photographer's dream, this is a camera that is designed to handle beautifully and providing the photographer with the manual controls and viewfinder that facilitate the composure of an image whilst the eye is up at the viewfinder - 'what you see is what you get'. If you want to put aside a touch screen and a Smartphone and get back to the 'Purism in Photography' the Fujifilm X-T2 is the camera for you. I have long recognised Fujifilm as a manufacturer that will concentrate on producing cameras and lenses for 'stills photography' which will deliver the very best image quality, even at high ISO levels. My Fujifilm X100s compact camera is a 'classic' example with it's retro style body and excellent manual controls. Although the X-T2 compact system camera has an APS-C 1.53 x crop sensor which is smaller than a 35mm 'full frame' camera the Fujifilm X-T2 does not disappoint. 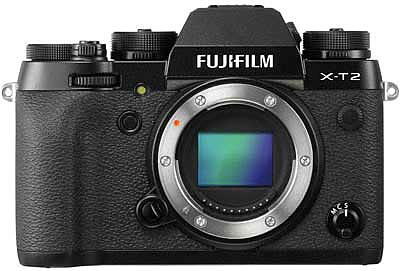 Fujifilm are renowned for excellent customer support and the steadfast constant development and upgrades of their camera firmware. The Fujifilm X-T2 (camera body) is due on the shelves in September and is available for pre-order costing £1,399.00 vat inclusive in the UK. Most photographers require a 'positive' reason to purchase a new camera system and I have thought long and hard about the X-T2 because it's not a Canon or even a Fujifilm 35mm 'full frame' upgrade. You can use virtually any camera for Street Photography and I have used a variety of cameras and lenses in all different sizes and weights. I have shot images at 24mm field of view all the way to 600mm field of view and enjoyed the experience. Henri Carter-Bresson, the famous street photographer used a 35mm 'full frame' camera with a 50mm prime lens with it's native 50mm field of view. This set the standard for street photography but with the advent of new technology in the 21st century, zoom lenses of all focal ranges have become very popular. 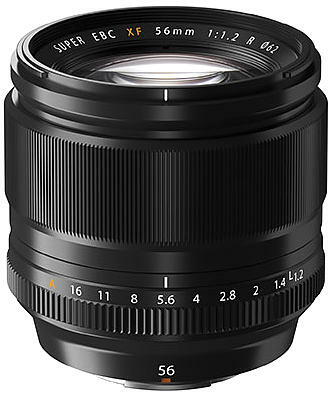 Fujifilm already produce excellent Fujinon X Mount Lenses and probably the very best prime lens for 'The Purist Photographer' and the 'Henri Cartier-Bresson' street experience is the Fuji 35mm f1.4 R Lens with it's 53mm field of view and which costs £358.99 vat inclusive in the UK. Scotland has now more seasons with heavy rain for prolonged periods (including the winter months) and this trend has been maintained over the last few years. The winter (even into the spring) is the worse period for my photography and the continual rain or snow virtually brings it to a stop. So, a Fujifilm X-T2 system that is compact, lightweight and can be used in virtually all weathers (within reason) is to be welcomed - along with weatherproofed lenses. I like the idea of a camera and lens combo that has excellent manual controls and is weatherproofed. 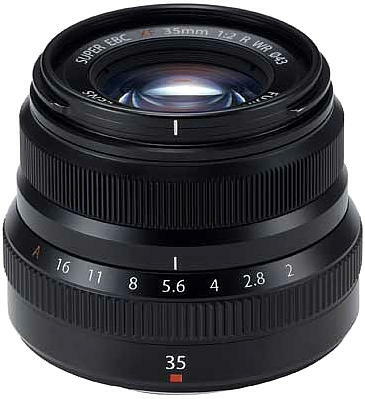 So for low light photography in all weathers on the street, the Fujinon 35mm f2 R WR Prime Lens with it's 53mm field of view has to be a serious consideration. 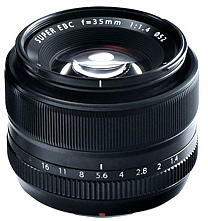 This 35mm 'weatherproofed' lens is currently available for around £289.00 vat inclusive in the UK. However, I also like a zoom lens which can shoot reasonably wide and yet bring in those important head shots of characters on the street. So, I like the weatherproofing of the Fujinon XF 18-135mm f3.5/f5.6 R LM OIS WR Zoom Lens with it's 27.5mm - 206mm field of view and it's 5.0 stop image stabilisation. 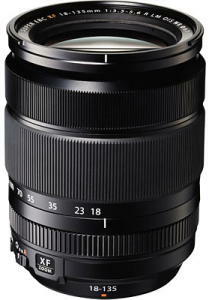 This zoom lens is currently available for around £549.00 vat inclusive in the UK. There are certain APS-C suitable lenses in the Fujinon X series range that are particularly attractive. One of those lenses is the Fujinon 56mm f1.2 R APD Prime Lens (85mm field of view) which is ideal for portraits, pulling in landscapes and street photography. This is an expensive prime lens which costs £989.00 vat inclusive in the UK, compared to the standard Fujinon 56mm f1.2 R Lens which costs £699.00. X-Series cameras have won a solid reputation for their faithful reproduction of skin tones and combining them with this lens delivers the ultimate portrait photography results. The built-in APD filter, the pinnacle of Fujifilm's nanotechnology, produces even smoother bokeh, making the subject stand out even more and enhances creativity, not only for portraits, but also on a wide range of other subjects. 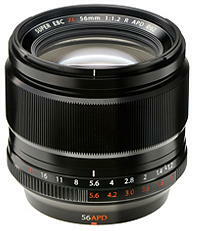 The Fuji 56mm f1.2 R APD lens is ideal for capturing a variety of topics, including low light photography.